Richeson Linen Art Panels have a soft tooth finish, which makes them the perfect painting surface for oils, alkyds, acrylics, and casein, and other water-based paints. 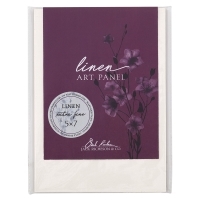 The linen canvas is triple-primed with acrylic primer, creating an archival, acid-free finish. Then it's adhered to a pH-neutral, tempered, 1/8" high-density fiberboard base using permanent, acid-free glue. 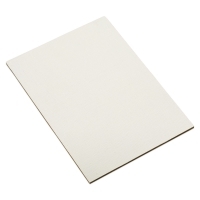 Each board is double-coated with gesso using a waterfall system for a controlled, even application of gesso. The layer of gesso produces an archival barrier between the panel and the canvas. 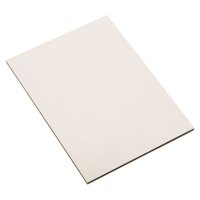 These panels are warp-resistant, moisture-resistant, and formaldehyde-free. Choose from three linen textures.